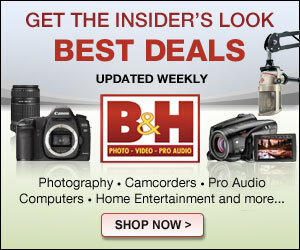 Libsyn is holding a contest where three lucky podcasters will each win one free year of hosting at Libsyn.com. 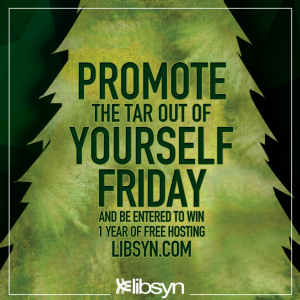 The contest is called “Promote the Tar Out of Yourself on Friday”. 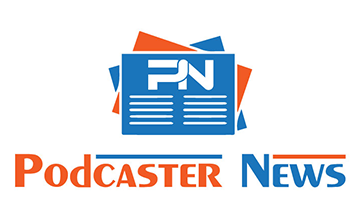 They also understand that the holiday season is busy, and they wanted to make a contest that would not require podcasters who entered to have to do even more than they already have planned at this hectic time of year. In addition, this contest will motivate podcasters who enter to continue podcasting through the end of the year. We all know that many podcasts end up taking a long break during the holidays because they just can’t fit everything into their lives. Comment on the Promote The Tar Out of Yourself on Friday (PTTOOYF) post on Facebook or reply to the PTTOOYF post on Twitter on one or all of the following Fridays: 11/25, 12/2, 12/9, 12/16, and/or 12/23. NOTE: You can participate on both Twitter and Facebook, but you will only be entered once per week. Share your latest episode. The episode must be published within the week of the PTTOOYF post. Follow all directions to posting: (a) you must share a name and/or description of what your podcast episode is about, (b) a link to how people can find and listen to the podcast, and (c) a link to your podcast’s contact, about page, or social media profile so that Libsyn can easily contact you. If you post a comment on the PTTOOYF post on Facebook or Twitter after 11:59 p.m. PST on the corresponding Friday, your entry will be disqualified. Entries only count on Friday. Libsyn will have a grand random drawing of qualified entries placed on Fridays from 11/25 through 12/23. Three lucky podcasters will be announced on Friday, December 30, 2016. For more details, please read the Libsyn blog post about the contest.